OK, it’s silly. I follow my horoscope; it’s a ritual that I look forward to—more so since Google offers up video in search results. Somewhere down the line, I started to prefer You Tube channels over text versions. Video is more interesting, personable, memorable…turns out it influences buying decisions and is the most popular type of content on the Web. 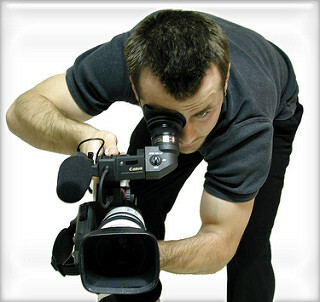 Imagine how product or service videos will help you attract website visitors and acquire new clients. Video is probably the easiest way to establish an emotional connection with your audience online; it makes an impression on first-time website visitors, engages prospects and clients. It gives audiences an efficient way to understand who you are, what you do, and how you can help them—all within the power of your company’s personality. It’s quite infectious. And inspires loyalty. Think: Apple. So how do you create a video and use it? Make sure your video has a purpose. Do you want to introduce your company or show visitors how a product works? Be specific with what you want the video to achieve. Moz Analytics has a great intro video: scroll down on the home page to watch our story. It’s sophisticated; notice how visuals are used to illustrate points, how the personality of the company is reflected. It left me wanting to learn more, how about you? What works: a high-level peek into your service and industry, lasting from 30 seconds to 1 minute. Demonstrate how your product/service helps clients. Things that seem simple and intuitive to you are often things your audience benefits from seeing. So don’t be afraid to break it down, explain how products and services work and cite benefits. Being direct just gives the piece more power. Let the visitor start the video. Give the viewer the remote, let them control how and when they receive your message. Turn common support questions into a video. 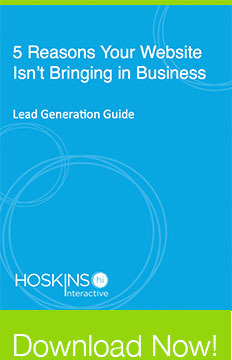 This centralizes the message, gives sales reps a way to remain consistent and prevents repetition. But it also gives visitors the control to help themselves, learn at their own speed and find answers in a positive way. How will people react to the video? How would you like them to? People remember feelings, so define the tone you’d like to strike. Message is easy to manage in a script because it’s there in black and white. It’s also subject to edits. But don’t forget that the images you shoot send a message, too. Does the visual match the words being spoken? Make sure you storyboard the shots. This will ensure that you don’t overdo product shots or shoot something that stands out like a sore thumb. Script and storyboard will help the production stay focused. And when in doubt, refer back to your buyer personas. If you end up with a long video, say five minutes or so, cut it down into smaller segments or chapters. People are most engaged from 30 seconds to 2 minutes. The script guides the shooting and editing process and keeps the production tight. Even if your video is short, it can descend into a sloppy mess without a script, so this is non-negotiable. Many people may need to be part of the editing process. If you use a tool like Google Docs, designate one person as the editor and allow comments only from other stakeholders. Otherwise, you’ll end up with a train wreck for a script. (I’ve lived this, so I’d like to spare you the pain). I always advise that clients read content out loud before publishing, because you catch mistakes you wouldn’t necessarily see. With a script, this is critical. Do a table read with all stakeholders and hear the script. Camera. Our friends at Wistia advise using what you have to start out. But these brands popped up as favorites in our discussion, Cannon EOS Mark III and Sony NEX-6. Audio. What you use really depends on what you are shooting, but an external microphone offers more control over the sound; you’ll likely need a shotgun mic or a lavalier. Lighting. Lighting is really an art; the goal is to prevent shadows. You’ll need a lighting kit to create flat, even light, but it doesn’t need to be expensive. Wistia said it’s possible to find a good one for $100. Between the three, audio and lighting are the most critical aspects of a video shoot, because there’s no way to doctor bad light or audio. So focus on quality sound and light. Wistia has a lot of tips and resources, and it offers free hosting and a variety of packages. We plan to check out the options as HI embraces video in the months to come. I’ll be interested in hearing your experience and results. Send me a link! The way you tell your story is dictated by what your clients need to hear. 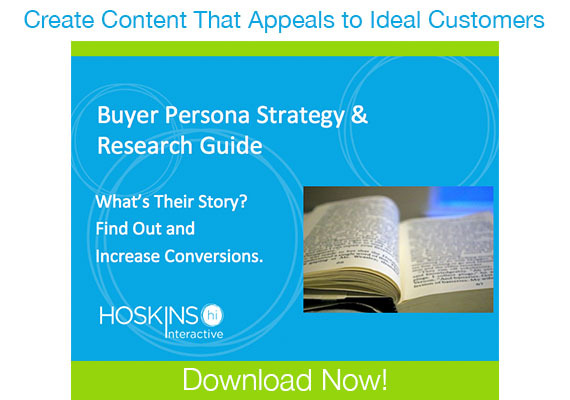 Learn more about buyer personas and how defining them improves sales.